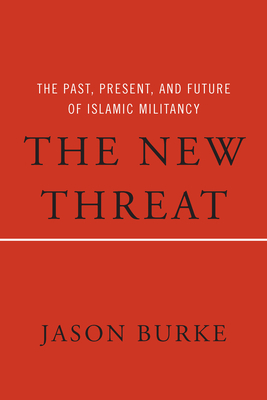 Jason Burke is one of the world's leading experts on militant Islam. He embedded with the Kurdish peshmerga (currently at war with ISIS) while still in college. He was hanging out with the Taliban in the late 1990s. He witnessed the bombing of Tora Bora in Afghanistan in 2001 firsthand. With the current emergence of ISIS in Iraq and Syria and the resurgence of the Taliban in Afghanistan and Pakistan, no one is as well placed as Burke--whose previous books have been chosen as books of the year by The Economist, the Daily Telegraph, and The Independent--to explain this dramatic post-Al Qaeda phase of Islamic militancy. We are now, he argues, entering a new phase of radical violence that is very different from what has gone before, one that is going to redefine the West's relationship with terrorism and the Middle East. ISIS is not "medieval," as many U.S. national security pundits claim, but, Burke explains, a group whose spectacular acts of terror are a contemporary expression of our highly digitized societies, designed to generate global publicity. In his account, radical Islamic terrorism is not an aberration or "cancer," as some politicians assert; it is an organic part of the modern world. This book will challenge the preconceptions of many American readers and will be hotly debated in national security circles. Jason Burke is the South Asia correspondent for The Guardian and The Observer. His book Al Qaeda is regarded as one of the most perceptive and original books on Islamic terrorism. Currently based in New Delhi, he covers a wide range of social, political, and cultural topics across South Asia and is a regular commentator on television and radio.